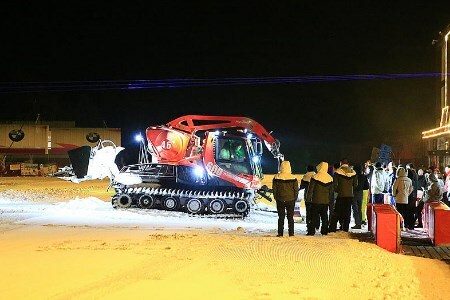 Last week PistenBully presented the PistenBully 600 at a two-day event at the Chinese ski resort of Wanlong, marking its debut on the Chinese market. A diverse group of people attended the event: drivers, managers, slope managers. Guests were treated to a broad programme, with experts using detailed technical training sessions to explain features, such as the double-jointed joystick and the iTerminal. Guests were then able to experience the PistenBully at the wheel for themselves, getting an idea of how powerfully and quietly the vehicle moves through the snow.